Slightly modified Extended Cut ending with the MEHEM memorial. 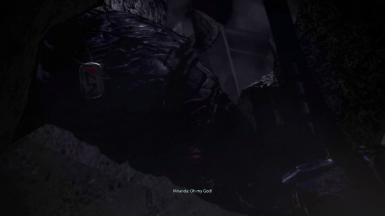 This story mod is based on MEHEM, the Mass Effect Happy Ending Mod, by Fob. It keeps (IMHO) what makes MEHEM MEHEM: the memorial scene with Shepard, and uses it with the traditional Extended Cut ending (albeit slightly modified). There are two versions: A and B. Version A keeps the Catalyst conversation and Shepard's choice between Destroy, Control, and Synthesis. Version B skips the Catalyst conversation (like original MEHEM) and the Crucible destroys the Reapers. There are also some changes in the Catalyst conversation (for Version A) and epilogues. Some are obvious, some are subtle. See if you can spot all of them! 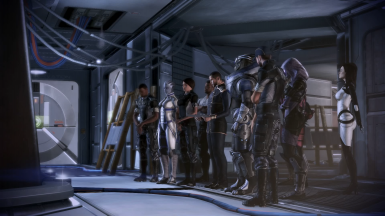 The MEHEM memorial scene in this mod supports all possible ME3 romances, including non-Normandy crew (Miranda, Jack, Thane (if you also use ThaneMOD), Kelly, and Samara (if you did her Citadel DLC romance scene). Do not install this on top of regular MEHEM. This is entirely self-contained. Everything it needs from MEHEM is included. Requires the Extended Cut DLC to function. This mod installs by adding itself as DLC. No game data files are overwritten***. There is no separate uninstaller; to uninstall simply delete the folder "DLC_CON_JAM" from the ME3 DLC folder. ***This does install WarrantyVoider's DLL patch which is required for the game to not reject the added DLC. It is placed in the ME3 Binaries folder (where MassEffect3.exe is located). As with all mods to this game, make sure you turn OFF automatic updating of games in your Origin settings. Otherwise, Origin will "fix" the modified files by overwriting them with the originals. Credit to MrFob for the idea and development of the original MEHEM, the changed memorial plaques, and the Normandy flyby video. Credit to Deager for finding and editing all of the rubble scene dialog lines. Credit to giftfish for ideas and moral support.